One in a periodic series highlighting special places on the Samford University campus. Bashinsky Field House, home to a multitude of concepts classes, intramural games and the annual Step Sing banner drop tradition, is a special treasure on the Samford University campus. It honors a decades-long relationship between the university and a prominent Birmingham family. The building is named for the late Leo E. Bashinsky, an exceptional businessman from Troy, Alabama. The fieldhouse was dedicated to Bashinsky on May 15, 1987, through gifts provided by his son Sloan. His countless contributions to charities in the Birmingham community combined with his gracious demeanor made Leo Bashinsky a lovable and respected leader for many years on Samford’s board of trustees. Bashinsky attended Marion Military Institute in Marion, Alabama, for one year before transferring to Peekskill Military Institute in New York, where he finished in 1907. He then went on to Princeton University, where he graduated Phi Beta Kappa with a bachelor’s degree in literature. From 1913 to 1920, Bashinsky worked as a cashier at the Farmers and Merchants National Bank in his hometown. He then moved to Birmingham to start a cotton brokerage business called Bashinsky, Case and Co., which he ran for 21 years. In 1941, Bashinsky started Automatic Machinery Parts Co. and subsequently owned Alabama Limestone Asphalting Co. Five years later, he and his brother-in-law Cyrus Case purchased Magic City Foods, also known as Golden Flake Inc., for $1 million. 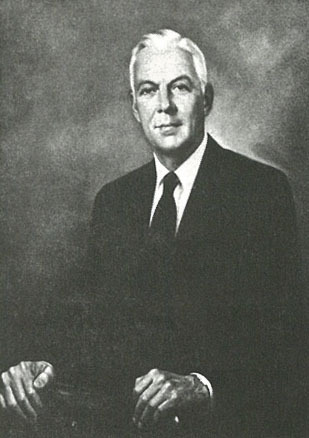 In 1956, he sold the company to his son Sloan and retired from his position at Alabama Limestone Asphalting. Bashinsky also served on the board of trustees for Judson College in Marion. He was elected chair of a special executive committee that suggested the school merge with then-Howard College in Birmingham. While the merger was never completed, the rest is history—Howard College moved from East Lake to Homewood in 1957 and was officially named Samford University in 1965. He also was involved in the Birmingham community, and was a deacon and leader at Southside Baptist Church. The Bashinsky family has provided other support for Samford through the years, including the press tower at Seibert Stadium and scholarships. And, Golden Flake products continue to be served at events across campus. Olivia Williams is a journalism and mass communication major and a news and feature writer in the Division of Marketing and Community.